This dynamic website includes downloadable resources to support all of the available textbooks, covering all elements of the AQA Philosophy A Level including PDF handouts and PowerPoints. The additional features section includes help with philosophical skills, key word flashcards, useful weblinks and further reading lists. 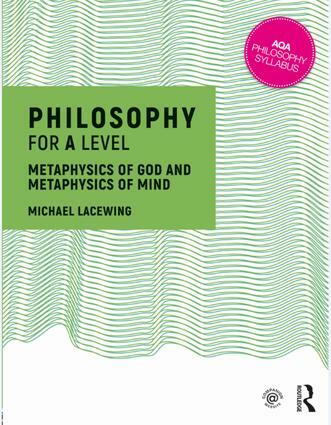 Michael Lacewing is a teacher of philosophy and theology at Christ’s Hospital school, and a former Reader in Philosophy and Vice-Principal Academic at Heythrop College, University of London. 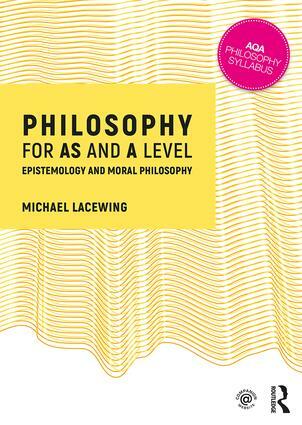 He is founder of the company A Level Philosophy (www.alevelphilosophy.co.uk) and advises the British Philosophical Association on matters related to philosophy in schools. His personal website is www.michaellacewing.com, where you can find all of his writings on philosophy that aren’t hosted on this companion website.